Using online tools, UNAVCO Education Specialist Shelley Olds facilitated a three-hour workshop entitled GPS Geodesy as Windows on Earth: Discoveries using GPS and other Geodetic Techniques on February 3, 2010 during the Earth and Space Science 4X4 series of workshops provided by the Region 12 Education Center in Central Texas. This series prepares teachers with the content knowledge and pedagogical techniques to integrate data into teaching for the new Texas senior capstone science course in Earth and Space Science. Olds was invited to be a presenter after leading a similar training during the TeXas Earth and Space Science (TXESS) Revolution professional development academy in Austin, Texas last year. The online format was chosen to allow workshop participants and UNAVCO staff save time and money while providing high quality instruction through the participant’s own computers. Via an eLearning web conferencing system, Olds presented a brief review of plate tectonics, an overview of UNAVCO, the Plate Boundary Observatory (PBO), EarthScope, and geodesy and geodetic applications, led a series of interactive lesson plans and activities using PBO GPS data, and guided teachers as they explored UNAVCO visualization tools. This is the first online workshop of its kind conducted by the Education and Outreach team at UNAVCO. The teachers gained valuable tools for integrating UNAVCO data into their Earth science curriculum and are enthusiastic for future online workshops. UNAVCO will continue to explore the growing online format for workshops along with development of a comprehensive geodesy curriculum for Earth science teachers. Materials from this workshop are available to teachers and college faculty through the Community Web Site. To learn about future workshops please visit Workshops. 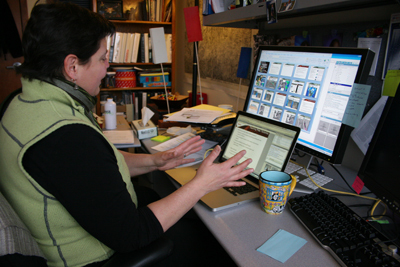 Figure 1 - UNAVCO Education Specialist Shelley Olds hosts an online GPS workshop for teachers in Texas from her office in Boulder, CO at the UNAVCO headquarters.